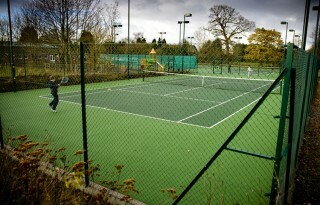 The courts and clubhouse are all ‘wheelchair friendly’ with suitable ramps which give access to the clubhouse and courts. 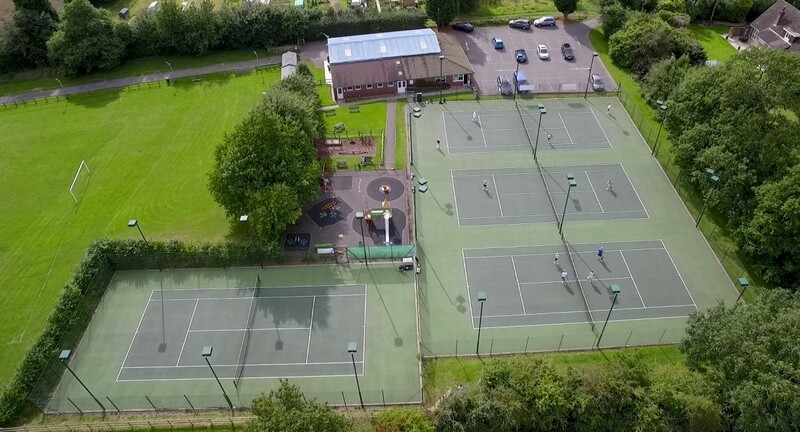 Apart from the four ‘all weather’ tarmacadam courts, we have our own clubroom and use of the Recreation Centre’s toilets and shower facilities. 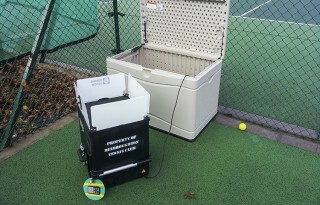 All of our courts are individually equipped with flood lighting, with a timed autopayment box situated in the club house. We have a playground right beside the courts with swings, climbing frames and rocking things. We also have a football pitch size playing field next to that, which for those familiar to Belbroughton will probably recognise it as the venue for the annual Belbroughton Scarecrow Festival or the equally popular Belbroughton Beer Festival. There is no bar at the club but there are plenty of suitable pubs in the village. We have a kitchen area to prepare tea, coffee and soft drinks along with comfortable seating and coffee tables. We also designate court 4 as our public court, which Subject to availability, you can book on an hourly basis. The cost is £10 for the first hour and £5 for subsequent hours. To check on availability and to make a booking please contact either David Slann (all details available on the contact us page). We have a club ball machine ‘Kitson’ for practicing your ground strokes, which is available to all adult members free of charge. You will need to do an induction course to learn how it operates, this can be done by anyone at the club who has already had already completed it. 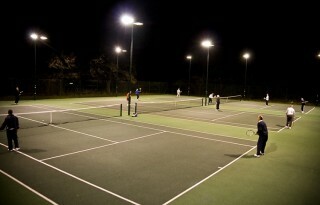 All four of the courts have there own set of state of the art flood lights. We have an automated system in the club house, which costs £1 per 15 mins. You can pre-load as much as you like, to save constantly feeding. When you join we will give you an induction on how to use it. We share the parking with the Recreation Centre, but in general there are plenty of spaces both by the club or up on the playing field. The bays are a tad tight so you may need to squeeze in a bit!